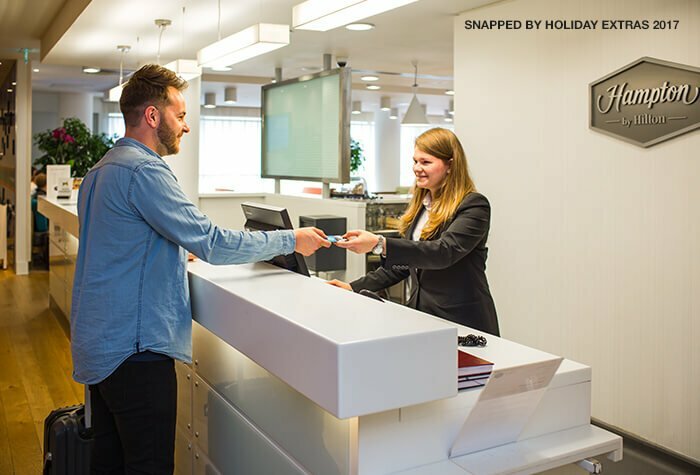 Just moments from the check-in desks, the Hampton by Hilton at London Gatwick Airport's North terminal is exactly what you have been looking for. 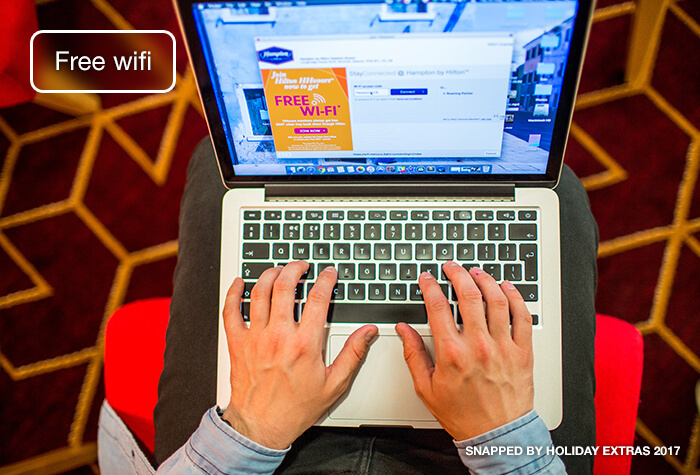 Surrounded by luxury decor, deliciously tempting food and drink, and many added extras such as free wifi and hot breakfast, the Hampton by Hilton hotel will make you feel truly spoilt. 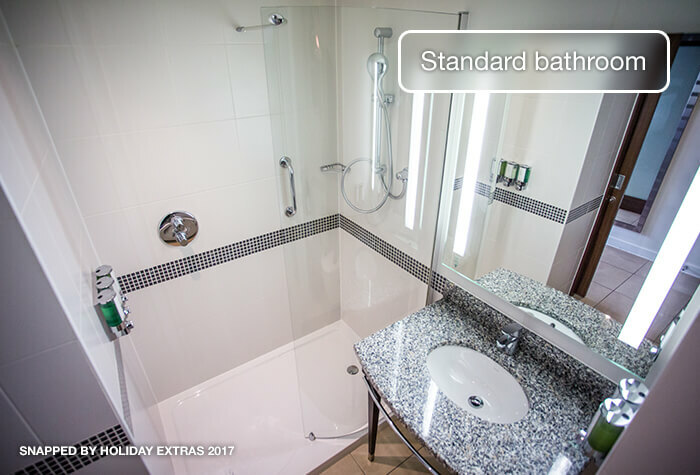 Having all of these convenient features under one perfectly located roof, this Gatwick airport hotel will guarantee to get your holiday off to a flying start. All of our Hampton by Hilton hotels prove to be popular and the newest addition at Gatwick North certainly won't disappoint. 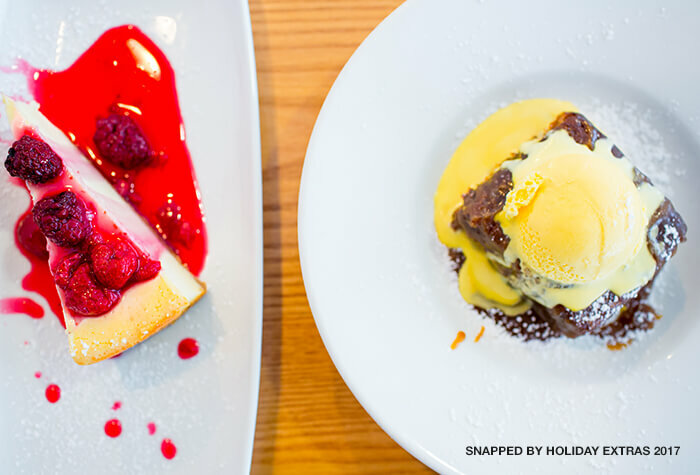 The hotel has a choice of 2 welcoming restaurants, Joe's Kitchen serving up a both European and British dishes and The Globe Freehouse serving British pub classics. 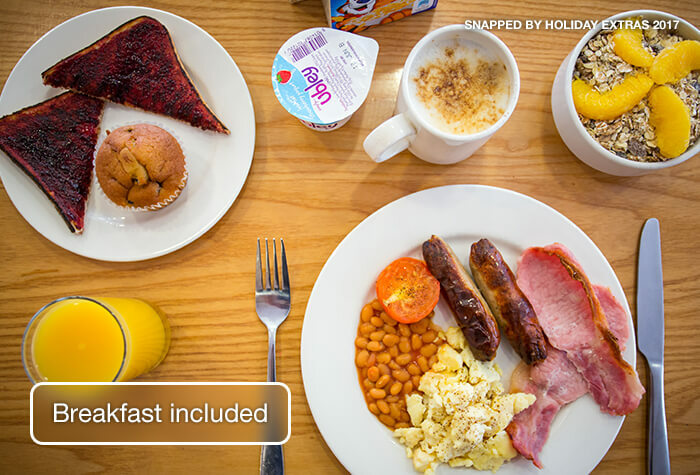 The complimentary, hot buffet breakfast served from 6am, along with a choice of cereals, juices, teas and coffees will also go down a treat. 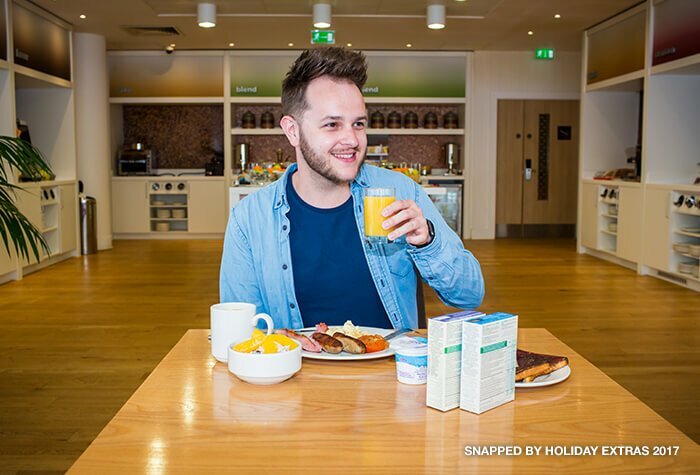 With all this choice, you can guarantee the Hampton Hotel will ensure you start your journey well fed. 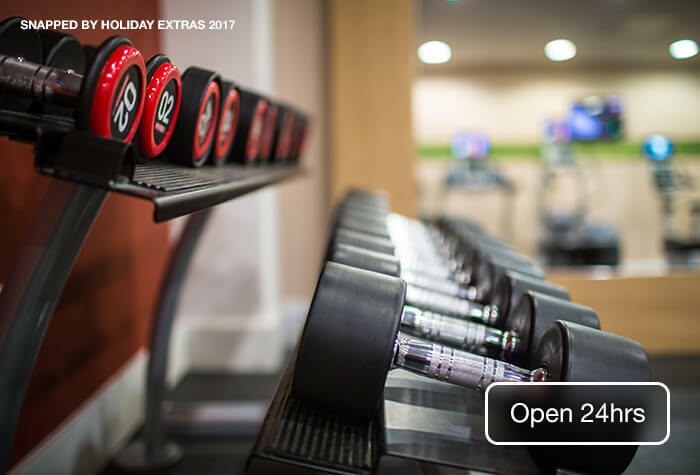 Once you're curled up in the comfortable armchair in your air-conditioned guest room, or perhaps unwinding with your first holiday drink at the bar, or for those more active guests, working out in the free, 24-hour fitness centre, you will forget that you are in fact only a 2 minute, stress-free stroll from Gatwick's North terminal and a 5 minute, complimentary shuttle bus from the South terminal. The covered walkway links the hotel to level 2 of the airport, between departures and arrivals, so whether your stay at Gatwick's Hampton by Hilton is before your trip, after, or even both, you can rest assured that you are only ever a few minutes from the terminal, that in itself is a comforting thought, aiding a completely stress-free airport experience. The Hilton by Hampton want to make sure everybody who stay here are 100% happy and every detail throughout the hotel proves this, from the power shower in your spacious bathroom, your choice of comfy pillows, the practical choice of work desk and lap desk in your guest room and the free wifi available to all, and whilst your sprawled out on your ultra comfortable bed watching movies on the large flatscreen TV, you will want for nothing. Very smooth checking in and picking up process for the parking. Also the hotel we had booked meant we got rid of the car the day before we flew. Hotel clean & comfortable for the night although the restaurant could have more choice of meals....we ended up eating elsewhere due to poor selection. Purple Parking was great. Quick and easy to drop off car and collect on return. Bus driver very nice and helpful on journeys to and from the airport. Hotel staff pleasant and professional. This is the third time we have used purple parking be the Hampton Hilton and would do so again. Only one gripe is that the Hilton Hampton need to improve the menu, as only a very limited choice, otherwise no faults what so ever. 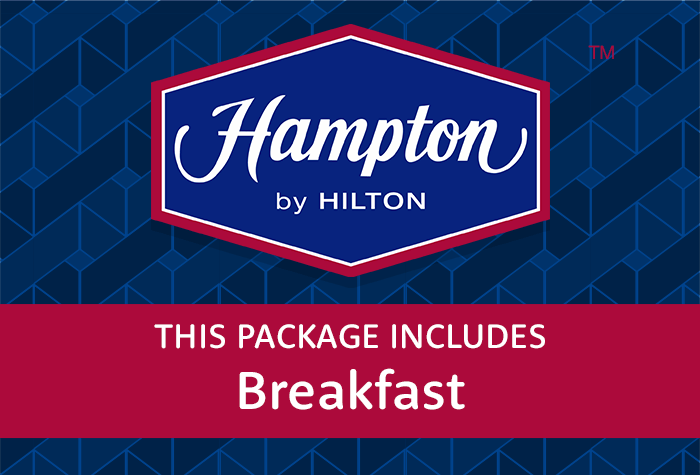 Our customers rated Hampton By Hilton on average 9/10 (312 reviews). 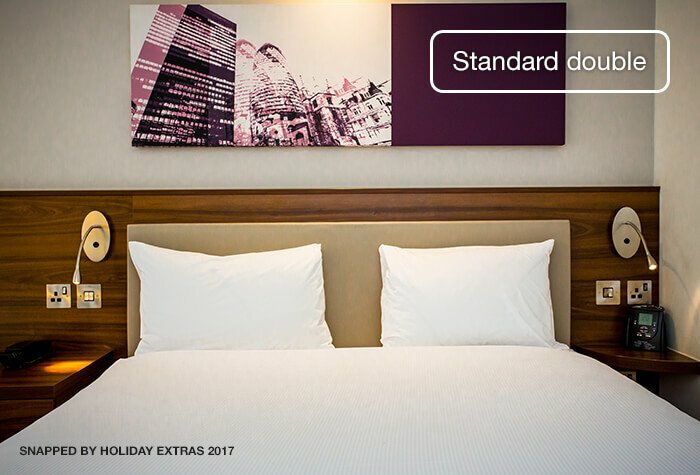 Convenience -Yes it's luxurious and yes it's great value-for-money but if it's convenience you're after, this is the hotel for you. If youre flying out of the North terminal, theres nowhere closer to the terminal or easier to get to. 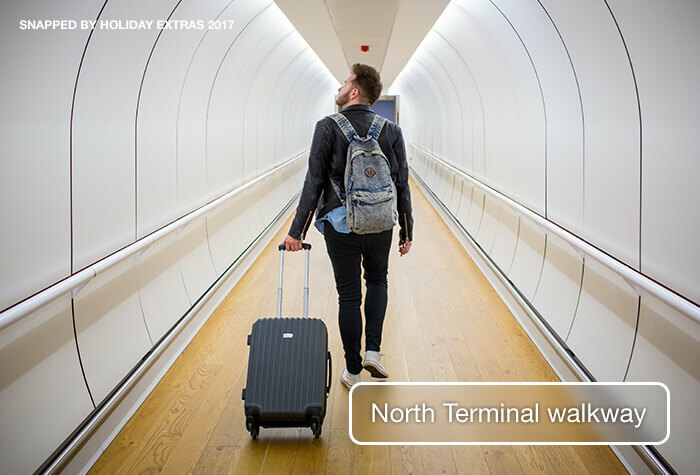 With a 2 minute walk through a covered tunnel to the North terminal and a free, 5 minute transfer on a shuttle bus to the South terminal you couldn't be more perfectly placed. 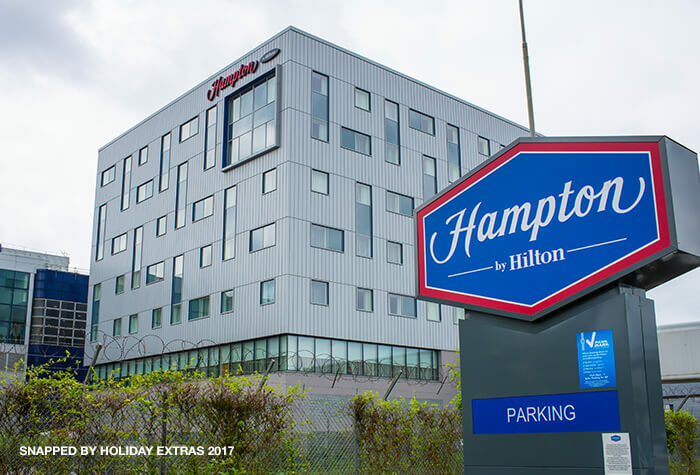 The savings and convenience are maximised if you pair your Hampton by Hilton Gatwick with our parking deal. In the morning walk to the North Terminal through the covered walkway. The hotel is connected to the first floor of the North Terminal by a covered walkway - its less than 2 minutes walk. This package doesnt include parking. If you need overnight parking, it is available at the hotel on a first come first served basis and costs £43. If youd like parking whilst youre away, we recommend searching for one of our hotel with parking packages. If youre flying from the South Terminal, walk to the North Terminal then catch the free monorail to the South Terminal - it runs every 3 minutes and takes 2 minutes. Full driving instructions and a postcode for sat navs will be on your booking confirmation email if you need them. Hotel check-in: from 3pm. Check-out: by 12noon. Airline early check-in - The hotel is a short walk from check-in so we recommend checking your bags in the night before and spending some extra time in bed! British Airways, Easyjet, Thomas Cook, Thomson and Virgin Atlantic all now offer luggage check-in the evening before your flight to save you time in the morning. There are some terms & conditions and all passengers need to be present so if youre unsure check with your airline before you travel. Guests say rooms are bright and spacious with blackout curtains - some even have runway views. The Triple Room and Family Room layout includes a queen sized bed and a sofa bed. Please note the child age limit is 16 and under. Theres free wifi at the hotel. Our customers say its fast and reliable. The hotel welcomes service dogs. The hotel does not have a restaurant, but food and drinks are available from the hotel's bar menu. Theres a shared, open-plan seating area for drinks and dinner. 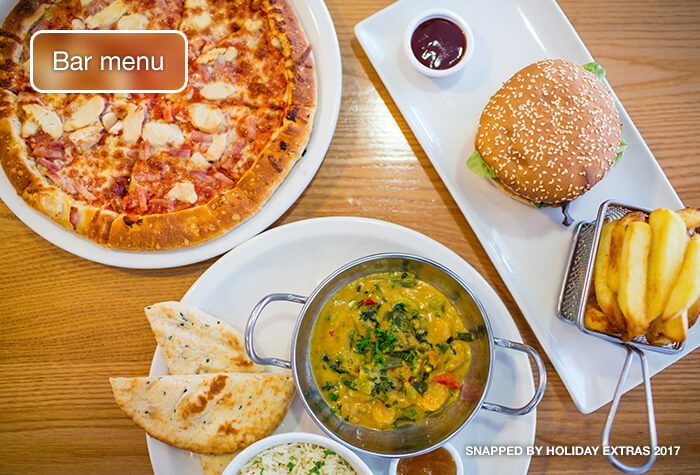 The menu offers classics like lasagne, burgers and curries for around £12 for a main course. The bar serves hot and soft drinks, beer, wine and spirits. 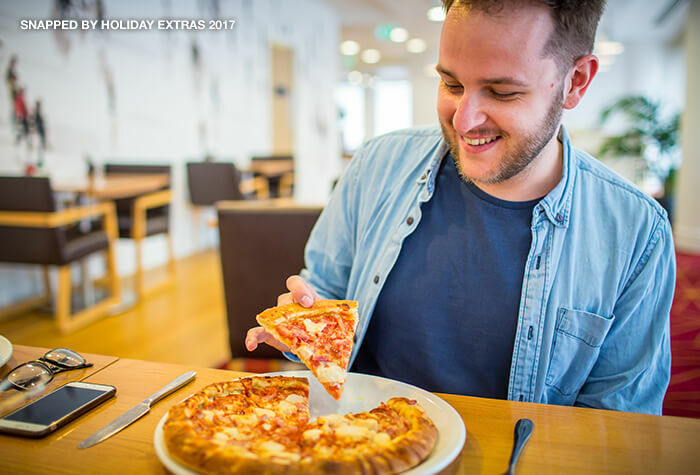 Theres also a 24/7 snack menu serving Chicago Town pizzas and jacket potatoes. The hotel doesnt have room service, but youre welcome to take your food back to your room. The kids menu offers smaller dishes for under £6. Open from 4pm to 10pm. 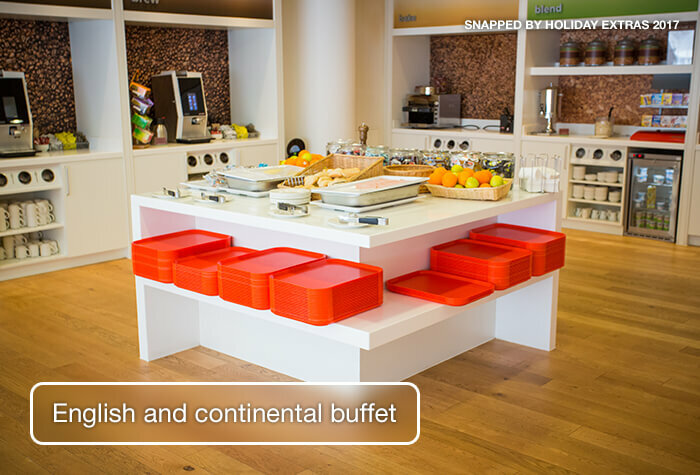 Breakfast is included in the price of your stay - its an English and continental buffet. The hotel has a small gym - its open 24 hours a day and is free for guests. The hotel has a coffee shop in the lobby that serves hot and soft drinks and snacks from 04:00 until 20:00. Its the first thing youll see when you walk into the hotel from the airport side and has a flight departures screen too. Our tip: In the morning, check your bags in upstairs at the departures lounge, then avoid the crowds by heading back down and grabbing a coffee while you wait for your gate to open. 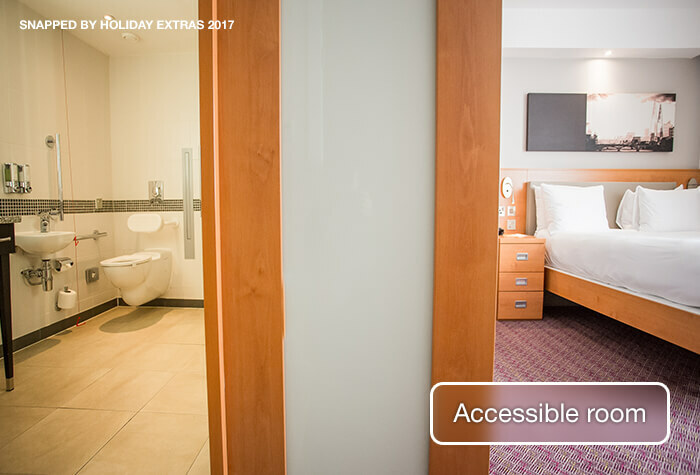 Disabled facilities The hotel has some rooms adapted for disabled guests - please call Holiday Extras to request one. They include wider doors, lowered wall fixtures and walk-in showers. 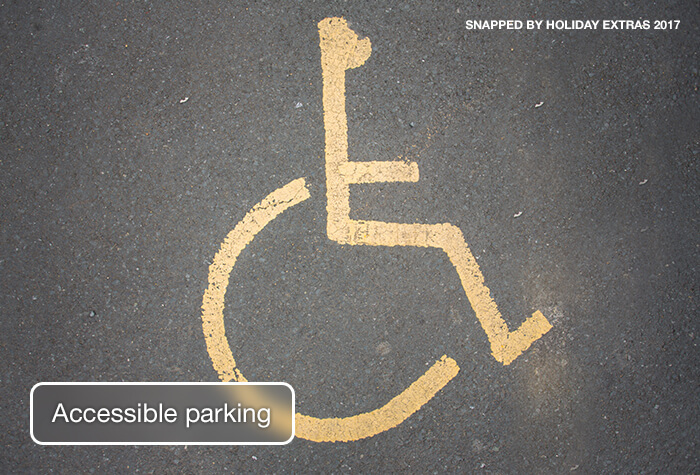 The hotel is accessible with lifts and ramps, as well as accessible parking bays. Service dogs are also welcome.